The Internal Revenue Service has made great advancements in technology for tracking your personal and business finances. 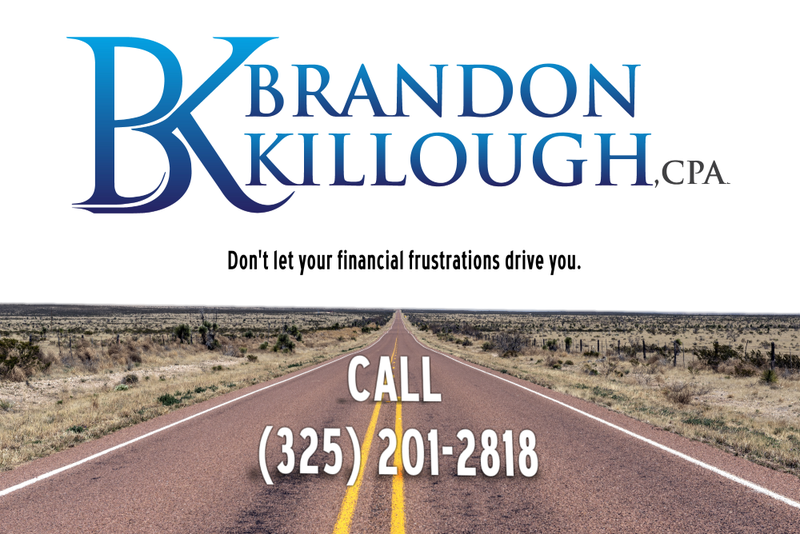 The stress of tax preparation, planning and growing problems can cause errors to occur, but with the knowledge and professionalism of Brandon Killough you could have a better outcome. As the United States’ economy continues to fluctuate, money becomes more of a necessity than a commodity to live. From paying bills, overhead costs and taxes the need for a financial advisor may allow you to expand your wallet and give you a piece of mind. Financial related issues can cause great strain on Americans and their families, so having a good financial foundation could provide great support. An excellent start would be to include a budget, so that paying bills, debt and saving money or retirement would be your ultimate goals for a healthier financial life for you and your family. Small businesses drive America and there are greater tasks that can overwhelm business owners, managers and employees of not knowing if they will have a job tomorrow. No matter what your business may need, Brandon Killough will provide you a strategic financial plan that will guide you towards a successful business. 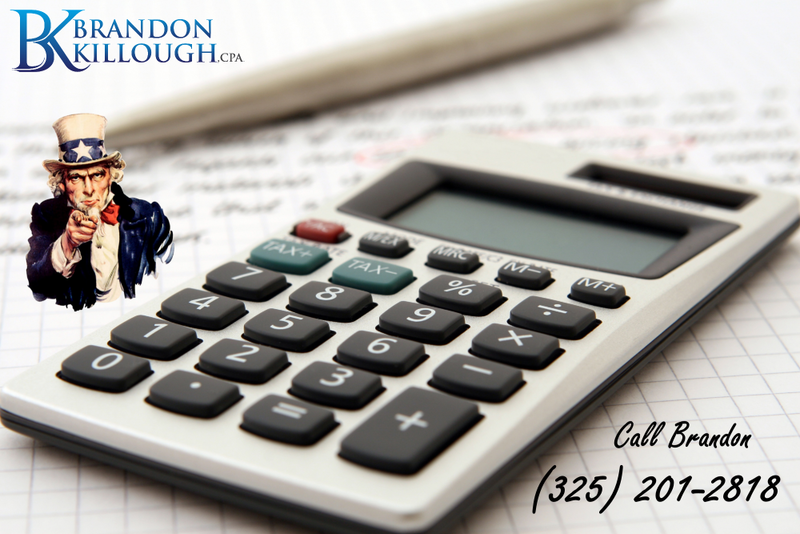 Call Brandon today at (325) 201-2818 to schedule your next meeting with an excellent CPA!